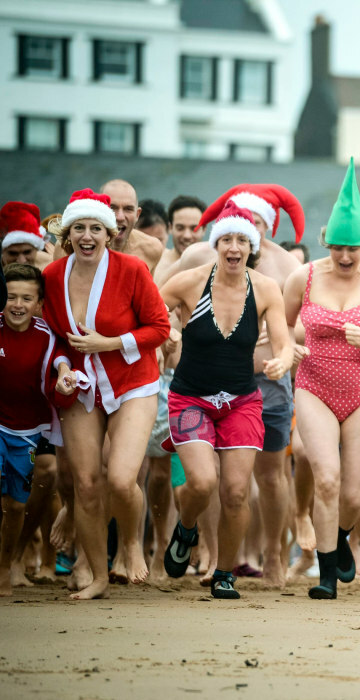 See how people in England, China and Iraq celebrate Christmas, and more in today's news pictures. 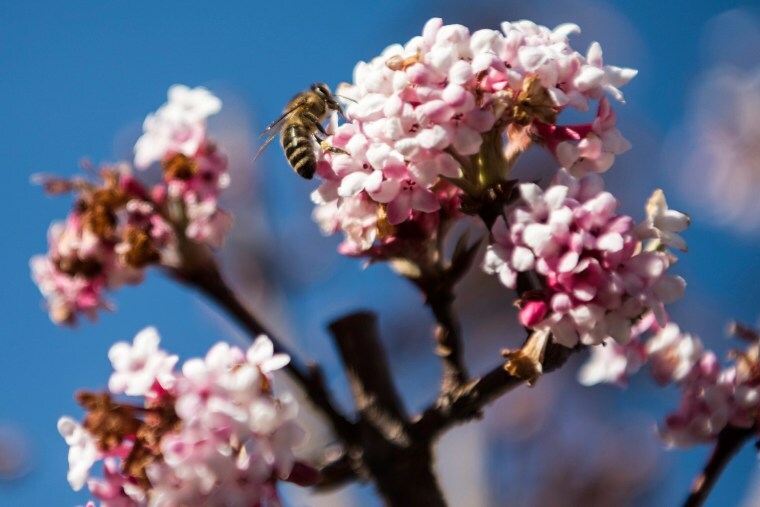 A bee visits the blossom of a dwarf Fragrant shrub on Christmas Day, in Flanthey, Canton of Valais, western Switzerland. Wide parts of Europe experience springlike weather and temperatures over the Christmas season. 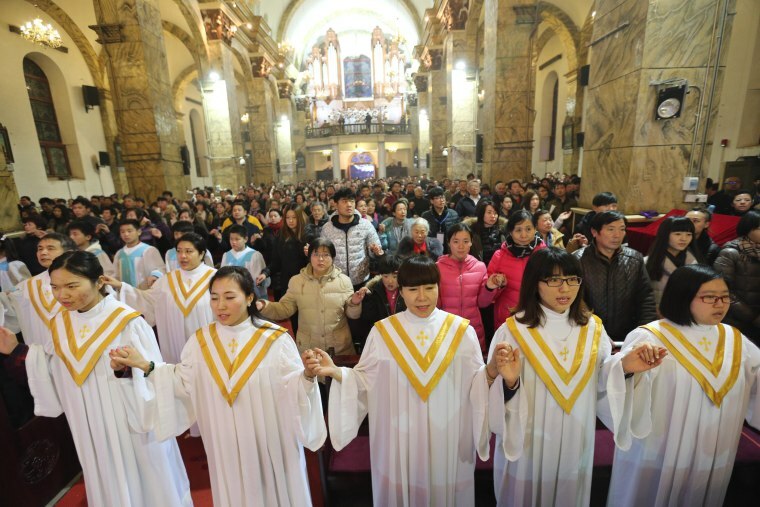 Chinese Catholics attend a Christmas Eve mass in the Xuanwumen Catholic Church in Beijing, China on Dec. 24. 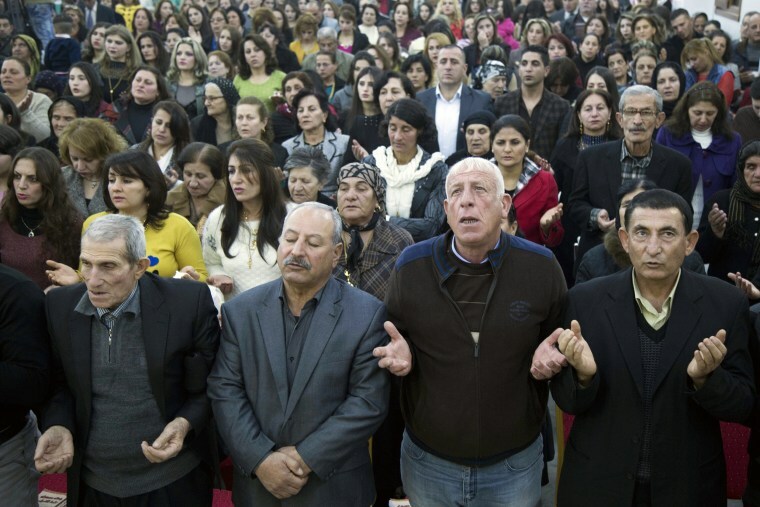 Iraqi Christians take part in Christmas Eve mass in the Albashara Church in a Christian refugee camp in Irbil, northern Iraq on Dec. 24. Many of the worshippers are displaced from their homes after Islamic State militants swept through northern Iraq in 2014. 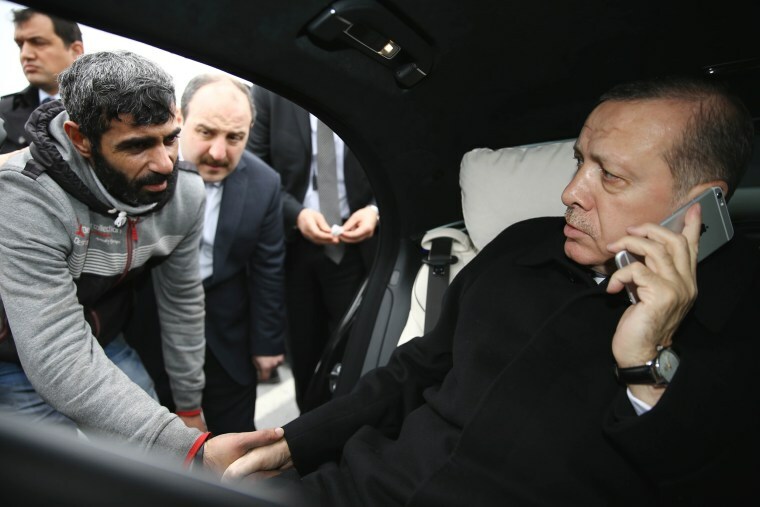 Turkish President Recep Tayyip Erdogan, right, takes Vezir Cakras by hand while speaking on his mobile phone inside his car stationed over the Bosporus Bridge in Istanbul on Friday. Erdogan’s office says the Turkish president has talked Cakras out of jumping off a bridge to commit suicide. Television footage on Friday showed Erdogan’s motorcade stopping over Istanbul’s Bosporus Bridge where a man was apparently contemplating jumping off. 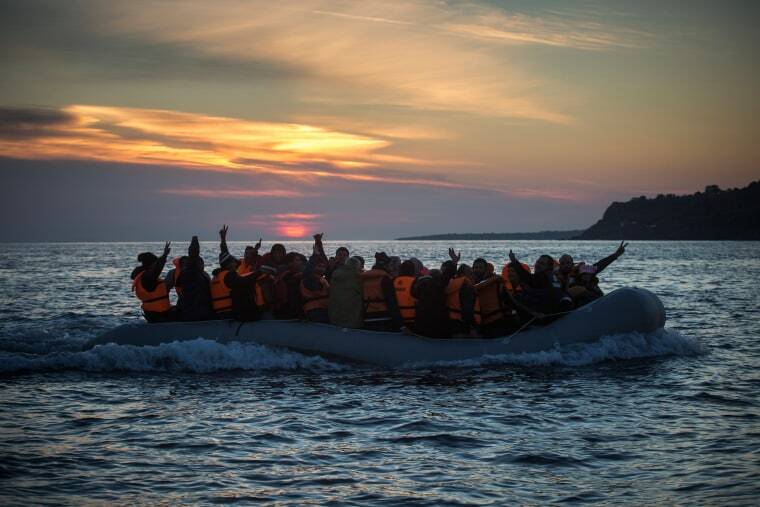 Refugees and migrants call the attention of a rescue team when approaching the Greek island of Lesbos on a dinghy, after crossing a part of the Aegean sea from Turkey, on Friday. The International Organization for Migrants said more than 1 million people have entered Europe earlier this week. Almost all came by sea, while 3,692 drowned in the attempt. 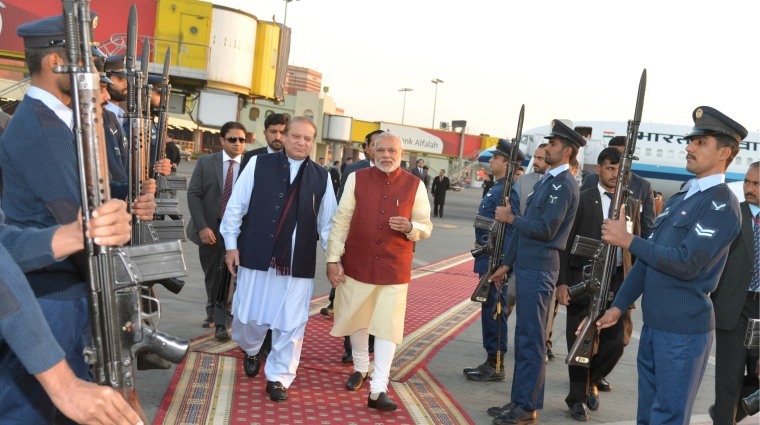 Pakistani Prime Minister Nawaz Sharif, left, walks with his Indian counterpart Narendra Modi after Modi's arrival in Lahore, Pakistan. Modi arranged his landmark visit to Pakistan - the first by an Indian leader in a decade, at the last minute on Friday, a Pakistani official said. 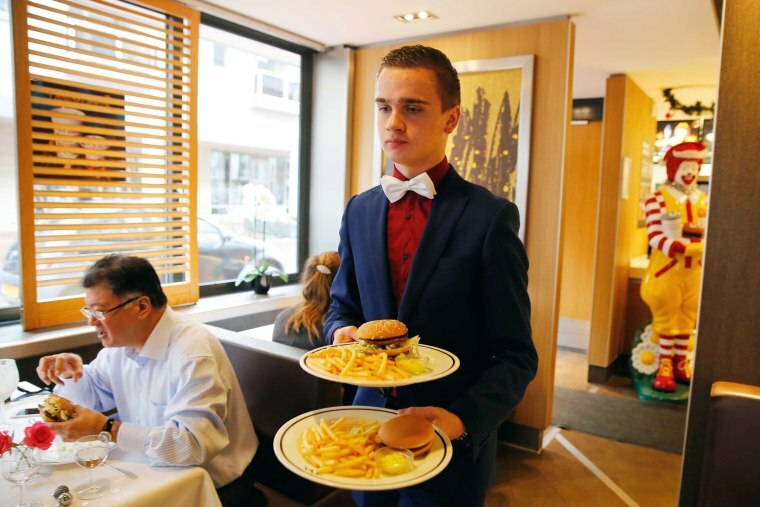 A waiter serves a Christmas lunch at a McDonald's restaurant in Bussum, The Netherlands. On this Christmas Day, guests could have their lunch at feastly covered tables. A pro-democracy demonstrator holds up a chair prop, alluding to an empty chair at Liu Xiaobo's Nobel Peace Prize awarding ceremony in 2010, with a photo of Liu and his wife Liu Xia, during a protest outside the Chinese liaison office in Hong Kong. 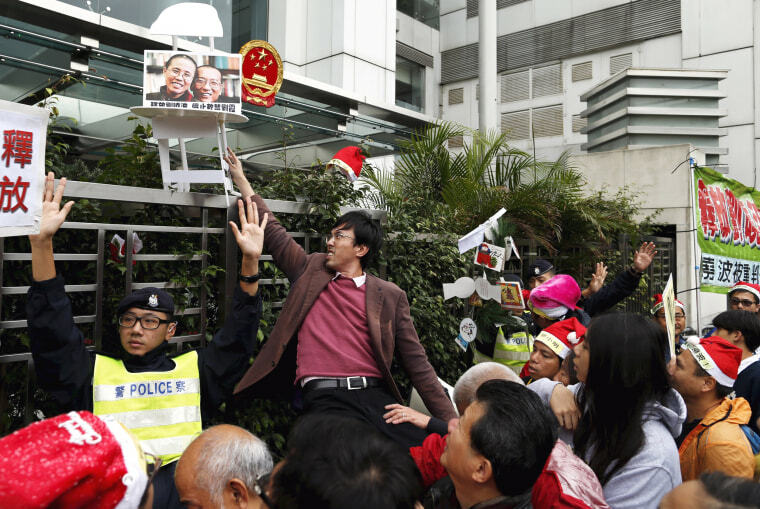 Hong Kong protesters on Friday demanded the release of Chinese Nobel Laureate Liu Xiaobo, who was sentenced to imprisonment six years ago on Christmas day. 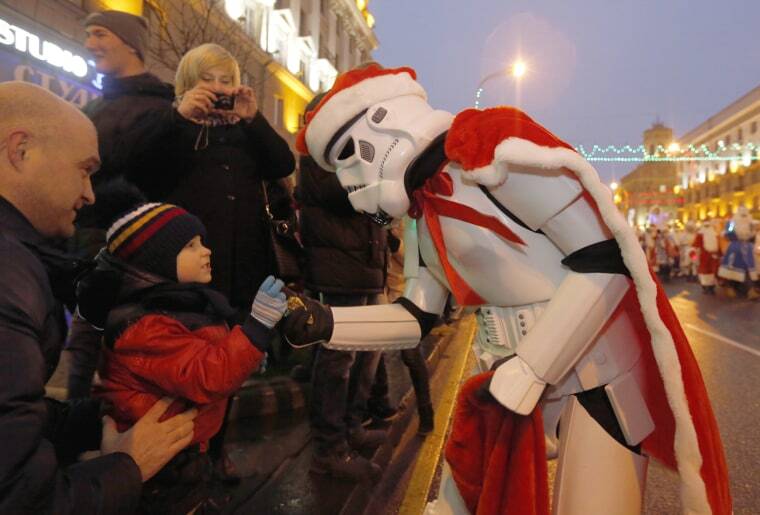 A participant wearing a Star Wars Stormtrooper costume with a Santa Claus hat and cape gives candies to a child during a Christmas parade in the center of Minsk, Belarus.